Enhanced Results is the heading of a block that appears at the top of the Google search results page. On the left side of the block, the user can find links to YouTube, Wikipedia and some other popular websites. The info tab of Enhanced Results says that the user can quickly access related advertisements, products, YouTube videos, Flickr photos and other content. It has been found that Enhanced Results are displayed by FoxLingo, a browser toolbar which is can help computer users to highlight text, look up word in the dictionary and so on. The application works on Mozilla Firefox, and if you want to prevent adverse results, you should ignore the links that are provided below the heading “Enhanced Results” because they can take you to insecure websites. Enhanced Results may invite you to take part in a survey or a questionnaire so that you can get a chance to win some mobile device. Moreover, some links may suggest that you should buy a domain, play online games or visit some other websites. Note that the websites that are promoted by unreliable adware programs may have very poor ratings. By clicking on the links provided by Enhanced Results you may be taken to insecure websites, where you may be asked to provide your personal information or download a computer program. It is also very likely that some of the websites to which you can be exposed through Enhanced Results use tracking cookies. Usually they are used to monitor how you browse the Internet, i.e., what search terms you use, what links you click on, what websites you access, and so on. Later, the information gathered may be used for advertising purposes. But keep in mind that your sensitive information, such as login credentials, may also be put at risk. Want to bring an end to it? All that you have to do is remove Enhanced Results from your browsers, so do not wait any longer. If you have installed FoxLingo and now want to get rid go Enhanced Results, follow the instructions provided below to eliminate the unwanted browser extension. However, if you have recently installed some other program and find that the advertisements have the label “Ads not by this site”, scan the computer with a reliable computer scanner. If it is a harmful adware program, the spyware removal tool should eliminate it from the system. Click the Remove button next to FoxLingo. Restart the browser to see the changes. 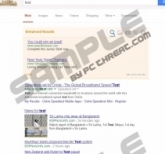 If you have noticed that you cannot remove Enhanced Results, feel free to leave a comment below so that our team can help you eliminate the unwanted advertisements. 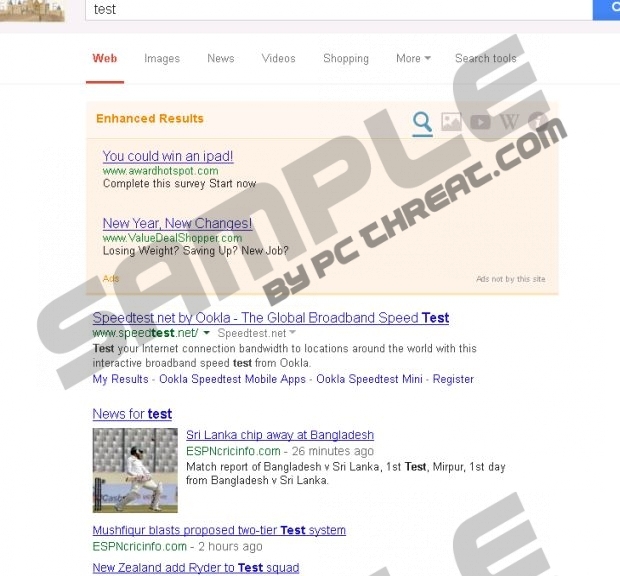 Quick & tested solution for Enhanced Results removal.